CoderDojo Parent, Pat shares a story about his son Dillon’s website. This time last year Dillon was about half a year at CoderDojo and they were working on HTML and most of the times they were doing bits and pieces of webpages to put what they were learning to use. These were on general interest subjects and the learning was great! 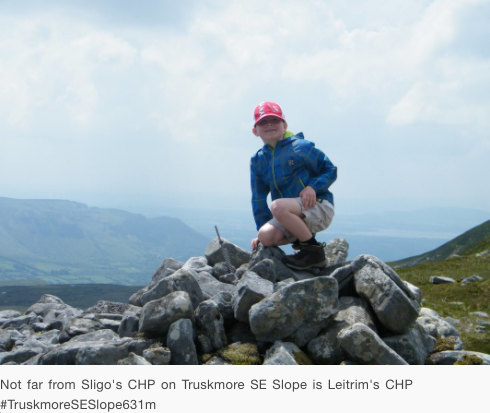 I suggested to Dillon that he record his 32 County High Point Challenge (the aim of which is to climb to the highest point in all 32 counties of Ireland) on a website as it would be a great way to combine his love of hiking and what he had learned at CoderDojo. He really put his mind to it and somewhere during the process, the idea to have an advert section came up as a fundraising idea too. Dillon’s mentor at the time helped him to code the slideshow for the adverts and showed him how he could expand it as he got more and more adverts to load. The adverts probably doubled the amount that was raised by the site overall, so it was a great success. Half the funds went to Cloyne Diocesan Youth Services in Mallow which is the organisation that facilitates the Mallow CoderDojo class and are also responsible for a vast amount of services for youth in the Mallow area. Dillon choose to fund raise for CDYS and Kildorrery Karate because coding and Karate are 2 hobbies he really enjoys and was delighted to be able to give something back to support them. CoderDojo really gives kids a great chance to learn but also to get together with like minded people and here you can see the impact it had on Dillon, it really tied in his walking, fundraising and coding to result in a great outcome overall! Since the creation of his project, Dillon has set some records and is currently nominated for many awards and is delighted to be continuing with CoderDojo where he is now learning Python. 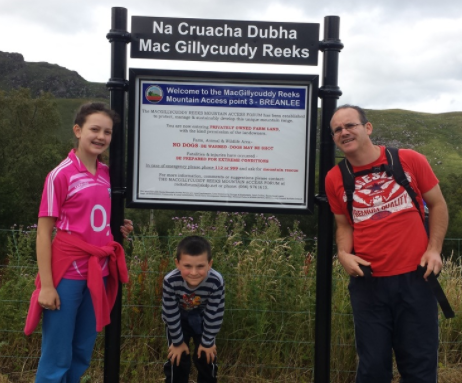 The challenge is to climb to the highest point in all 32 counties of Ireland. Discovering the challenge was accidental while searching the internet for mountains to Climb in West Cork while on holidays in the area. At that time I had already climbed Galtymore which meant after climbing Knockboy in Cork, only Waterford, Kerry and Clare remained to complete the counties of Munster. This became a goal for 2015 and was completed by September that year. That summer Lugnagulla (Wicklow) and Kippure (Dublin) were also completed, starting off Leinster too. 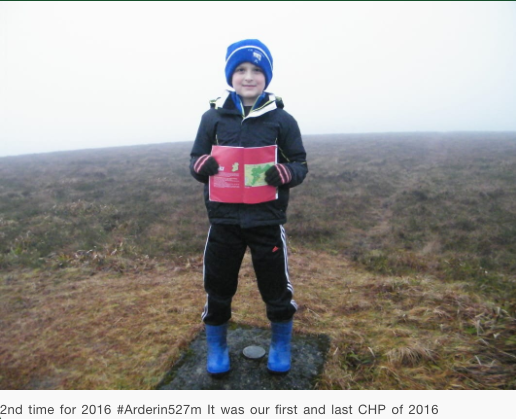 The challenge resumed in 2016 by completing Arderin, the highest point of Laois and Offaly, bringing the count to 10 out of 32 counties completed. 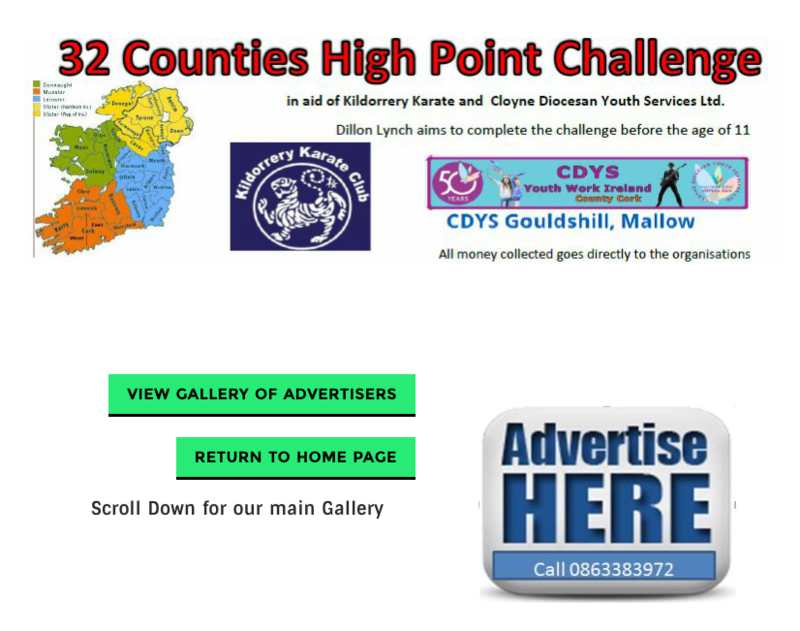 In May 2016 it was decided to use the challenge to try and raise funds for kildorrery karate and Cloyne Diocesan Youth Services (CYDS). I aim to complete the challenge before I turn 11 years old. His website can be seen here and the Gallery section has many many pictures proceeding through Dillon’s story. There is also a Facebook page here.